Sassy, smart and definitely the best-dressed fairies in town! The Fashion Fairy Princesses have been invited to the coronation of a new princess in Jewel Forest. It’s the event of the year. And of course, they’ve got some super-duper outfits. But when the fairies fly to Jewel Forest, they find the place in a panic. The new Pixie Tree Princess’s crown has been stolen! So our fairy friends travel across twinkling treetop bridges to find it. 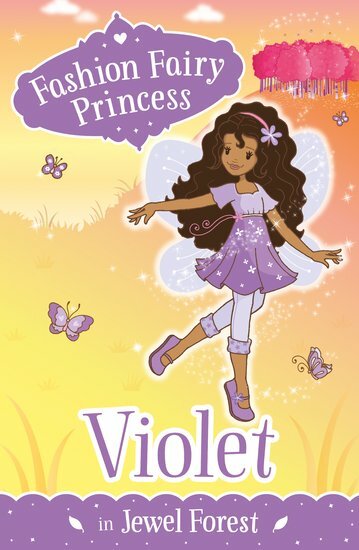 Can Violet save the day when it gets too dark for the fairies to find their way back? 820L Lexiles are the global standard in reading assessment. They are unique as they are able to measure a child and a book on the same scale – ensuring the right book gets to the right child at the right time.